From their individual looks to their special personalities, every animal at The Lost Dogs’ Home is unique in their own way. However, from time to time we are introduced to an animal whose traits are so rare; their appearance at the shelter has a big impact. In December staff at our North Melbourne shelter met kitten Samwise (otherwise known as Sam) and his two brothers, Merry and Pippin. Sam is a little kitten who defies the genetic odds. Why? Sam is a boy with a tortoiseshell colouring. According to studies by the University of Missouri, only one in 3,000 tortoiseshell cats are male, making Sam a very unique character, explains Dr Alan Bolton, General Manager of Veterinary Services at the Home. “Cat colour is passed down through the X chromosome, making it difficult for male felines to inherit the mix of colours needed to be born a tortoiseshell. 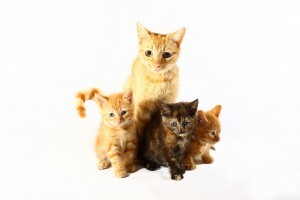 “Tortoiseshell cats have a unique genetic make-up; to create their unique black, gold and orange colouring, two X chromosomes need to be present. “As male cats only have one X and one Y chromosome, it is genetically very rare for a male to inherit the unique tortoiseshell colouring. “The occurrence of male tortoiseshells is made possible by the fact that they have two X chromosomes and one Y chromosome,” said Dr Bolton. Coming into the home as a young kitten, Sam and his brothers needed to spend some time in foster care to grow and gain weight before they could go on to find their new homes. To help get him ready for the next chapter in his life, Sam was placed in the care of foster carer, and animal behavioural trainer, Gemma. “When he first came home with me, Sam was a little shy and unsure of his surroundings; however, by the end of his three weeks in foster care he had come out of his shell. “He is an affectionate, sweet natured cat – he loves getting cuddles from the people around him. Sam is also very playful and enjoys playing with his cat toys. “Due to his friendly, affectionate nature, Sam would suit a family with small children and other cats; he just loves being around people,” said Gemma. Sam and his family are now available for adoption. If you are interested in adopting Samwise, his brothers Merry and Pippen or his mother Arwen, visit our North Melbourne shelter at 2 Gracie Street, North Melbourne and meet then in the fur. The Home is in need of new pet foster carers, like Gemma, in 2016. 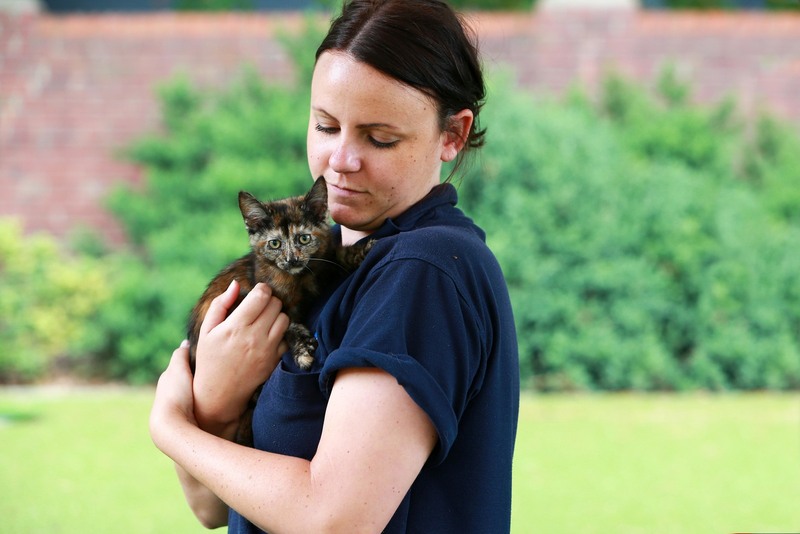 To help, we’re calling on you to add becoming a pet foster carer to the top of your New Year’s resolution list. Foster animals come to us with unknown histories and can be weaker than other dogs, cats, kittens and puppies in our care. Like Samwise and his siblings, these animals need some extra TLC before they can go on to find their new family.